JelZe GoldRabbit wrote: Would make for very easy retooling which would make it even more appealing. With one design, you get the 2008, 2010 and 2012 by just changing the car shell and minor details. I'm really hoping they don't go that route, unless they plan this line to run on for 5 years or so. That would be acceptable. Wolfman Jake wrote: Well, that half makes sense, I guess. Believe it or not, I really am impressed by SS-27 Clunker Bumblebee. The paint weathering and rust looks pretty good, and makes him a lot more screen accurate in his 70's Camaro form. I especially appreciate that the hinge on the hood and roof assembly now has a pin through it to keep it from popping apart every time you transform it, unlike SS-01 Bumblebee. So this version is better with the pin right? If one were to pick only 1 between the two, which would be best? Ig89ninja wrote: So I finally found Shatter the other day, and I’m just going to come out and say it, she is by far the lowest on my list of favorite Studio Series figures, her arms and kibble are way to loose upon initial opening, and it’s really difficult to get her alt. mode to rest with all 4 wheels. The worst part is, she’s not even mine, I GAVE HER AS A GIFT TO MY BROTHER! 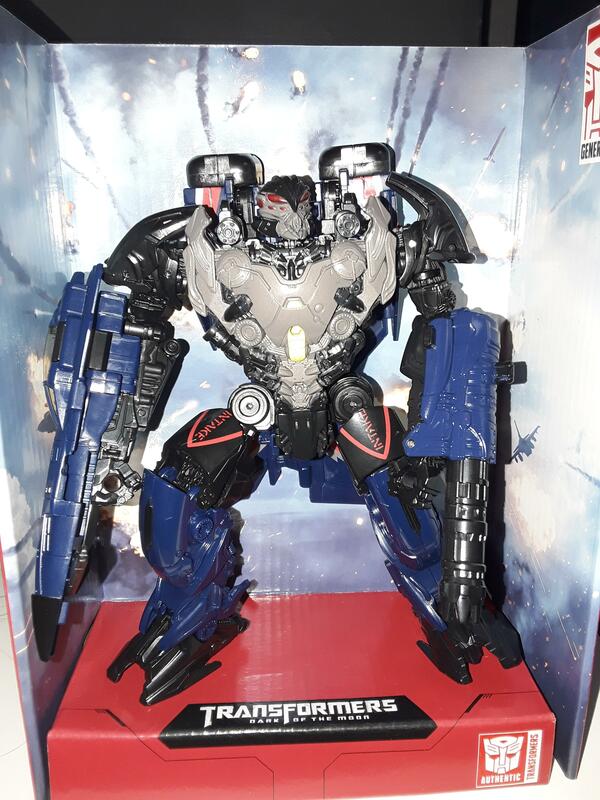 I am not buying Shatter yet, I am sure we will get a better version now that Hasbro has gotten the correct CG models. It all depends on your priorities in a figure. I suggest doing what I did and buying both versions and parts swap between then to your liking. Wolfman Jake wrote: We're up to SS-44 Leader Class Transformers: Dark of the Moon Optimus Prime right now. I don't think the Studio Series will be slowing down any time soon. We've still got 6 more Constructicons to go, as well as a LOT of missing characters from all of the sequels, including Skids, Mudflap, Jolt, Wheelie, Acrcce, Chromia, Elita-One, Sideways, Yellow Rampage, Demolisher, Scalpel, Soundwave (satellite), Ravage, Grindor, Insecticon, The Fallen, Dino, Que, Roadbuster, Topsin, Leadfoot, Brains, Sentinel Prime, Shockwave, Hatchet, Soundwave (car), Laserbeak, Hound (AoE), Crosshairs, Drift (Bugatti), Scorn, Slug, Strafe, Galvatron, Junk Heap, "Two Heads," Steeljaw, Stupid Drone, Hot Rod, Hound (TLK), Squeaks, Daytrader, Dragonstorm, Stormreign, Dragonicus, Steelbane, Skullitron, Nitro Zeus, Barricade (TLK), Mohawk, Onslaught, Dreadbot, Berserker, Cliffjumper, and Shatter (jet). And that's just a mostly complete list of properly named characters from the movies! There's a lot more unnamed or unofficially named filler Autobots and Decepticons that can be used for more conceptual entries. The Studio Series has a loooong ways to go yet until the movie cast is completely represented. I'm hoping it has the legs to go another several years at this point. Thank You. I decided to do my own assessment, and came to relatively the same conclusion. Except I'm not sure if you meant up to 44 is out now, or we know up to #44 (I found up to #47 online, even though these are not out yet). So, even with 47 so far in this series, I was able to count almost 80 additional characters that would fit into the Deluxe/Voyager/Leader size class. I purposely omitted smaller bots like Frenzy, Laserbeak, Scalpel, Reedman etc... because if they are released at all, I'm hoping it will be with other larger figures, as we are starting to see now. Still 80 +47 currently known, that is quite a bit. Additionally that doesn't count some toys released in TLK line, and other films, that didn't actually appear, so yeah, this line still has quite a lot left in it. Also, just a fun fact, it appears every bot from the first Movie has been done except for Megatron, and Frenzy. Movie 1 Megatron would no doubt be a leader class figure. Frenzy would be a nice little add on, since he didn't come with Barricade. o.supreme wrote: Also, just a fun fact, it appears every bot from the first Movie has been done except for Megatron, and Frenzy. ^ Huh..must have missed that. So then what's the difference between 01 & 27 ? o.supreme wrote: ^ Huh..must have missed that. So then what's the difference between 01 & 27 ? I’d love all of the different Camaro Bees, but as long as we get one I’m happy. DOTM would be my preference, but It’d have to involve a new mold or some heavy remolding to get the chest right (and his lower wings are formed by his spoiler instead of the window pieces, but that was also true for TLK). Also just got some new Studio Series acquisitions, but I’m going to wait to post them because I might be picking up another one today, we’ll see! It's annoying. The Clunker Bee has a nice rusty look and that pin in the roof joint, but is lacking accurate paint in places that the first figure has (lacking yellow on the stomach piece, small parts of the forearms and most notably on the cannon arm). See my post above. You can mix and match pieces with SS-01 Bumblebee to beef up the paint apps on Clunker Bumblebee. Can I ask a favour of someone who has sprung for an official HasTak SS Beetle Bee? I bought an ebay bargain that turned out to be a nice enough knock off of SS18/20 etc. Beetle Bumblebee, thing is I was expecting a deluxe and instead got something that's shoulder height with CW Ultra Magnus/TR Powermaster Prime. 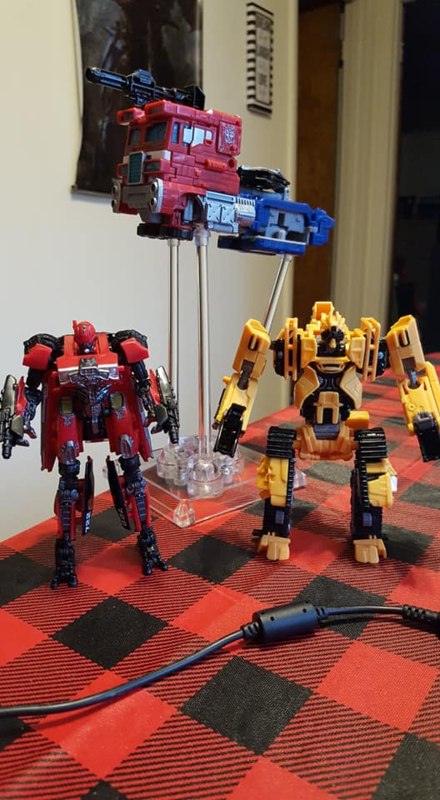 So my favour/question is, What height or class is the official mold? Thanks, I'd kinda answered my own question by watching a review of the official toy. I've ended up with an oversize KO then, but it's surprisingly good quality and they've improved it a bit by enclosing the waist swivel front and back with some detailing to the front piece, The arm sword has some vaguely Cybertronian squiggles along each straight side of the blade. A lot of it is held together with screws, No Autoboot insignia or VW badges though, and no battle mask. Well, the hasbro one is of pretty low quality, so I;m not surprised, does it tab together well in vehicle mode? SO, I finally decided to just bite the bullet with Thundercracker after backing and forthing for a while. In the end, he's fine. He's alright. I'm not blown away overall. There are things I really like, things I don't, but in the end he's a figure that's okay. So, good stuff. I love his headsculpt. The very spider-like eyes as compared to Starscream's more avian face makes for a nice contrast. The fact that it was TR Titan Master compatible was a pleasant suprise, but I was a little bit miffed it wasn't it's own bot, but that's no matter in the grand scheme of things. His cockpit looks like it could fit a headmaster in there too, which is a neat touch that they didn't need to add. His deco's pretty clean too. The blue contrasts well with his grey and the red and silver on the wings. For not so good stuff. His transformation feels rough as hell, and even after doing it a few times it doesn't feel quite right. His legs don't tab into everything like they're supposed to. His altmode looks pretty good when it's altogether but getting it there feels nowhere near as satisfying as something like SS05. Like I said, he's fine. I don;t regret him. For £20 he's a decent sized voyager and doesn't feel under painted or anything. I don;t think I would have got him otherwise though. Hellscream9999 wrote: Well, the hasbro one is of pretty low quality, so I;m not surprised, does it tab together well in vehicle mode? It holds together pretty well, about the only niggle in alt mode is a few triangular gaps in the roof line and round the windows and the rear engine lid dislodges with a touch. The tab underneath to store his gun arm on doesn't hold ('though the blade connectors are fine), the body piece isn't big enough to grip the gun hole and there's another one on the inside of the roof which can supposedly hold the arm/gun arm or blade in robot mode, none of them fit that either. He makes a good companion for HA Bee. Despite not being quite what I was expecting I'm happy with him, and at the price the deluxes are going for now and the QC issues I did end up with a bargain IMO. 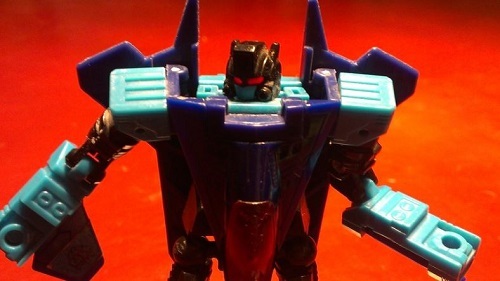 Gemstonegemini wrote: SO, I finally decided to just bite the bullet with Thundercracker after backing and forthing for a while. I love Thundercracker, my favorite Seeker got to use my favorite movie mold from the past several years! The head is cool, I love the colors, and the Transformation is really fun. Watch the tabs on the feet and inner knees, that might be where the jam up is in your jet mode. I am sure we will see an improved Shattter sometime soon, i will wait till then. william-james88 wrote: I am sure we will see an improved Shattter sometime soon, i will wait till then. Is that not just on the Movie Masterpiece Bee, they tilt up to reveal 'missile pods'? There's no further transformation in the chest past what's in the pictures, this is an oversized KO of the deluxe toy, not the MMP. There's only a side to side swivel which untabs the chest pieces for them to rotate up. In that case, i think its best the discussion continues in the KO forum. william-james88 wrote: In that case, i think its best the discussion continues in the KO forum. I'm done to be honest, question answered, answers given. I spotted Leader Dark of the Moon Megatron last night at Target and picked him up! I saw him about a month ago initially, but wasn't ready to buy him just yet. I also saw Jetfire then too, and didn't pick him up at that time for the same reason. This time, Megatron was alone, though. I haven't had time to open up Megatron yet, but he looks fantastic in package right now. The sculpting and paint apps are top notch. I think he'll easily replace Voyager Revenge of the Fallen Megatron on my movie display shelf for the time being. 4,680 pages were recently viewed by 774 unique visitors. This page was viewed 1 times on Thursday, April 18th 2019 3:54pm CDT. © 2019 Seibertron, Inc. DBA Seibertron.com. All Rights Reserved. Established June 2000. Seibertron.com is owned by Ryan Yzquierdo.